← You Can’t Drive to Hawai’i! Looks like an early spring this year. That’s what the Groundhog predicts, because he didn’t see his shadow, which means he didn’t feel the need to hide in his burrow for a long winter. I never understood that. Wouldn’t he be warmer if the sun was out? 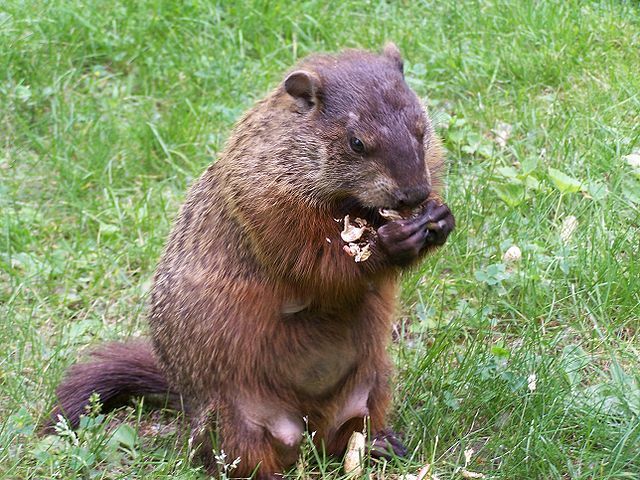 Check out the history of Groundhog Day. It’s quite interesting. It seems counterintuitive to me. If it’s a sunny day, I’d like to be out working in the garden. If it’s a cloudy, yucky day, I’d rather crawl back into bed. It’s a good thing, Punxsutawney Phil doesn’t live near me, because it’s a gorgeous sunny day. I’m going to go work in my garden and get ready for early spring. What do you think about Groundhog Day? Is it just a fun tradition or a true predictor of the seasons? Do you know of other odd holidays that should get more or less attention?